Sophistication and sporty meet in the 2017 Toyota Avalon. This model offers room for five while ensuring plenty of space for luggage, groceries or other items. Check out either the Touring or LTD for the four-door sedan. Choose from seven different colours to make the 2017 Toyota Avalon stand out. Sizzling Crimson Mica makes a bold statement while the Blizzard Pearl creates a sophisticated image. Thanks to the projector ellipsoid system headlamps, you can easily see where you’re going. Enjoy the beautiful scenery with the power moonroof. Sporty styling is evident with dual exhaust and fog lamps. Slide inside the cabin of the 2017 Toyota Avalon to enjoy a quiet ride. 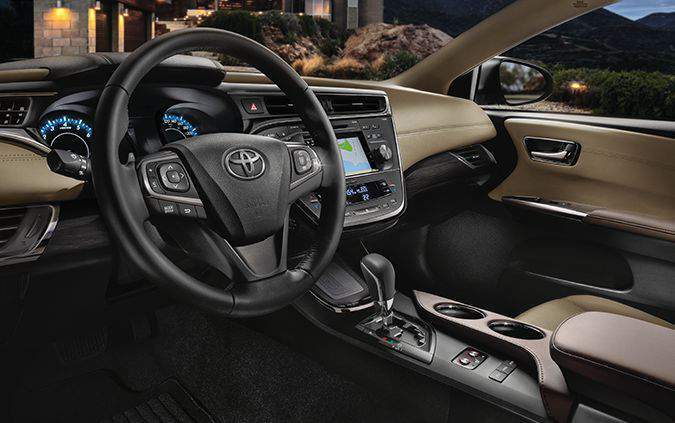 Woodgrain trim creates an elegant atmosphere while the leather seats enhance the feeling of luxury. Relax with soft white ambient lighting as you sit down in the available eight-way power driver seat or the 10-way version as an upgrade. Enjoy year-round comfort in heated and cooled front seats. Rear passengers will appreciate heated seats on cold days. Thanks to dual-zone climate control, you are always at the right temperature. Start your day on the right foot without searching for your keys with proximity entry and push button start. Wireless charging keeps your portable devices ready to go in the 2017 Toyota Avalon. You can find your way to anywhere you want to go with the available navigation system. It’s also easier to stay in touch with Bluetooth connectivity and the text or email to speech feature. Enjoy the latest tunes with the available JBL audio that comes with 11 speakers. 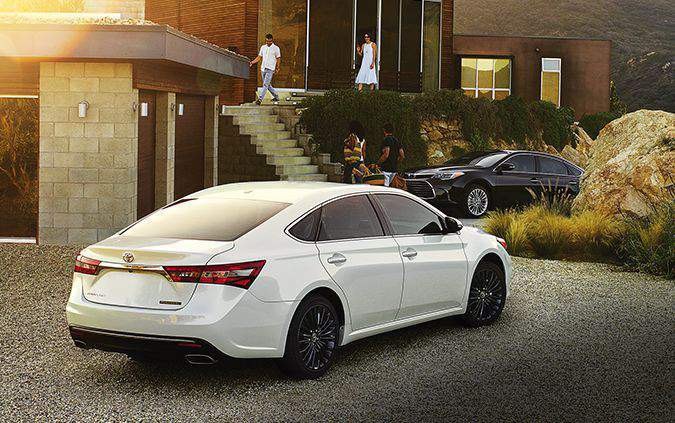 Ensure the 2017 Toyota Avalon fits your lifestyle with the right accessories. Choose items like the protection film that helps prevent scratches from ruining the look of your beautiful sedan. Bodyside mouldings and other body accents not only protect your vehicle, but they enhance the aesthetic as well. 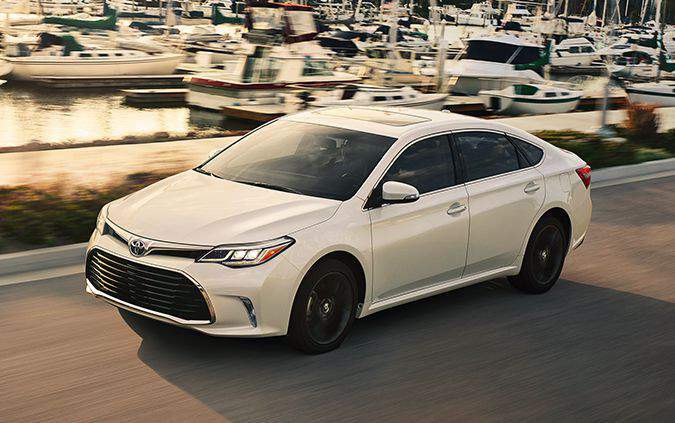 A powerful V6 engine provides peppy performance for the 2017 Toyota Avalon. Paired with a six-speed automatic transmission, you enjoy smooth handling and a steady ride. Switch from Normal to Eco mode when you want improved efficiency or Sport mode for a fun feel. Thanks to an independent suspension and stabilizer bars, you can feel confident going down any road. Premium safety and unbeatable value make the 2017 Toyota Avalon a solid choice for car buyers. Numerous standard and available safety features make the 2017 Toyota Avalon a smart and safe choice. Enjoy owning the 2017 Toyota Avalon even more, knowing a solid Toyota warranty stands behind it. Discover how much fun a sedan can be when you drive the 2017 Toyota Avalon. While this model provides the comfort, convenience and safety you want in a family vehicle, it doesn’t leave out the fun aspect. Modern technology keeps you entertained while contemporary styling ensures you look good behind the wheel. Find out how the 2017 Toyota Avalon fits your needs when you stop in your local Edmonton Toyota Dealer – Gateway Toyota. With a vast inventory of exceptional vehicles to choose from, the team at Gateway Toyota works hard to help you drive home in something you are proud of. Come in and find out why Bigger is Better. Price subject to change without notice. See dealer for details.